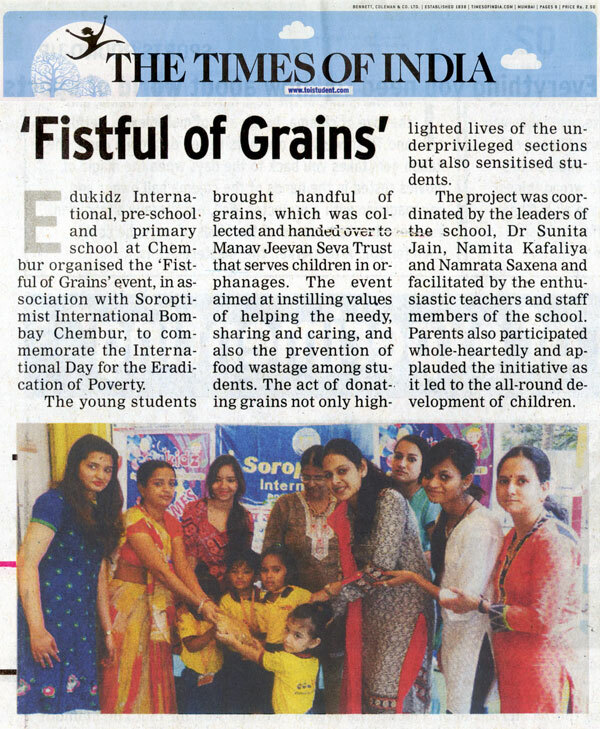 edukidz international, Pre-school and Primary school, Tilak Nagar, Chembur, organised ‘Fistful of Grains’ event in association with Soroptimist International Bombay Chembur, to commemorate the ‘International Day for the Eradication of Poverty’, on 17th October, 2016. This day is celebrated every year on 17th October all over the world. 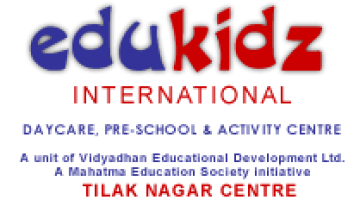 On this day, the edukidz toddlers brought handful of grains which was collected together and handed over to Manav Jeevan Seva Trust, serving orphanage children. This event aimed at instilling values of helping the needy, sharing and caring and prevention of food wastage among the students. The act of donating grains not only gave exposure to the life of the less privileged for the school children but also sensitized them to the needs of these poor people. 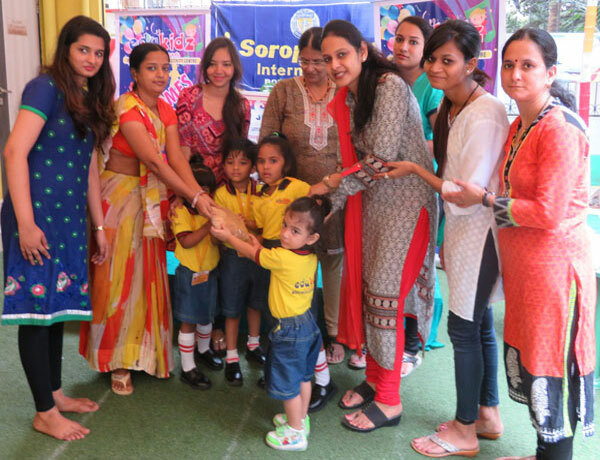 The Project was coordinated by the leaders of the school, Dr. Sunita Jain, Ms. Namita Kafaliya and Ms. Namrata Saxena and was well shaped by the enthusiastic teachers and staff of the school. 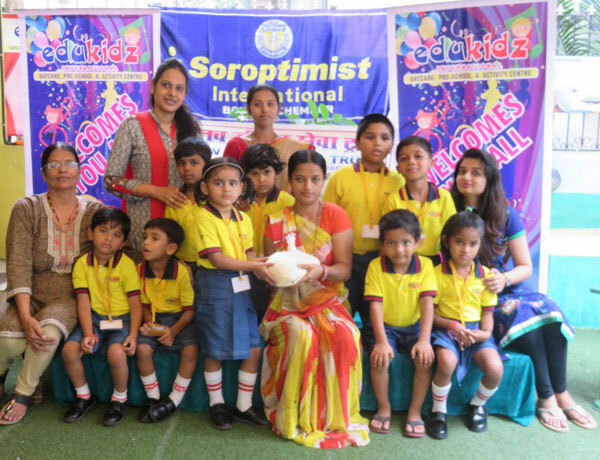 Parents also participated whole-heartedly and have applauded this initiative by the school for bringing in all-round development of their children through such events.